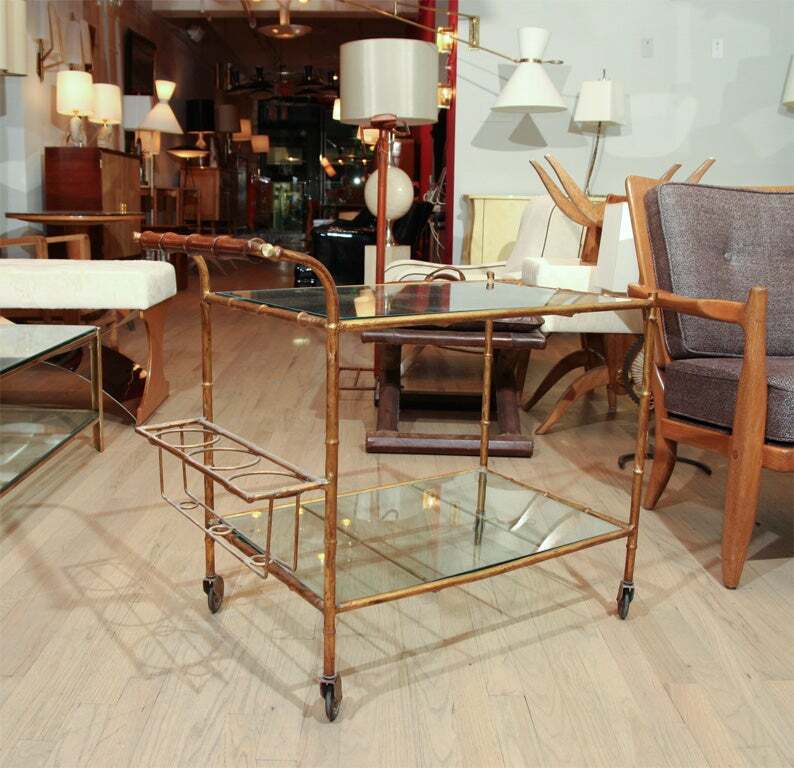 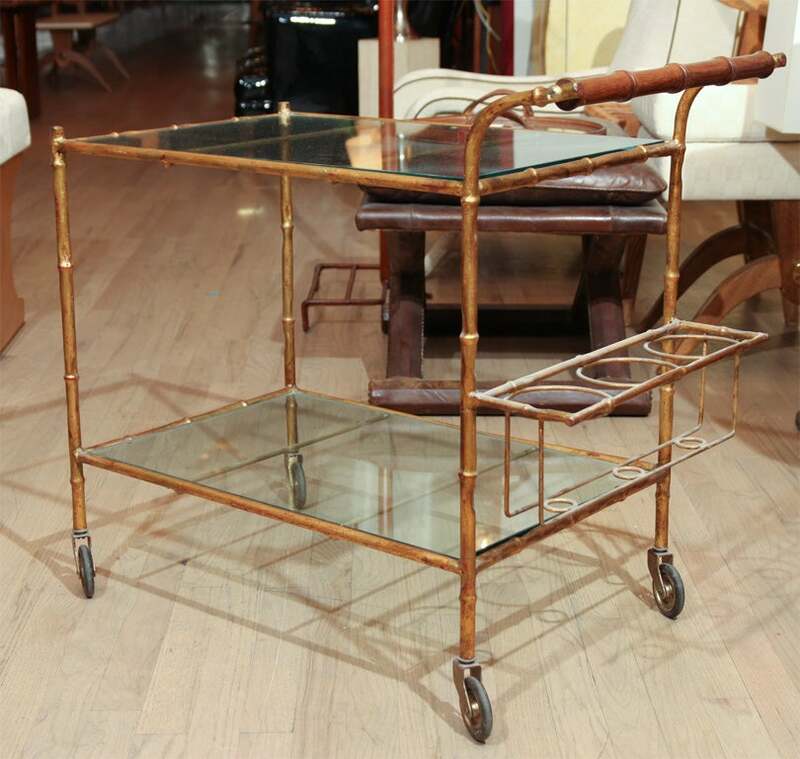 An elegant gilt faux bamboo bagues bar cart with two levels and a bottle rack. 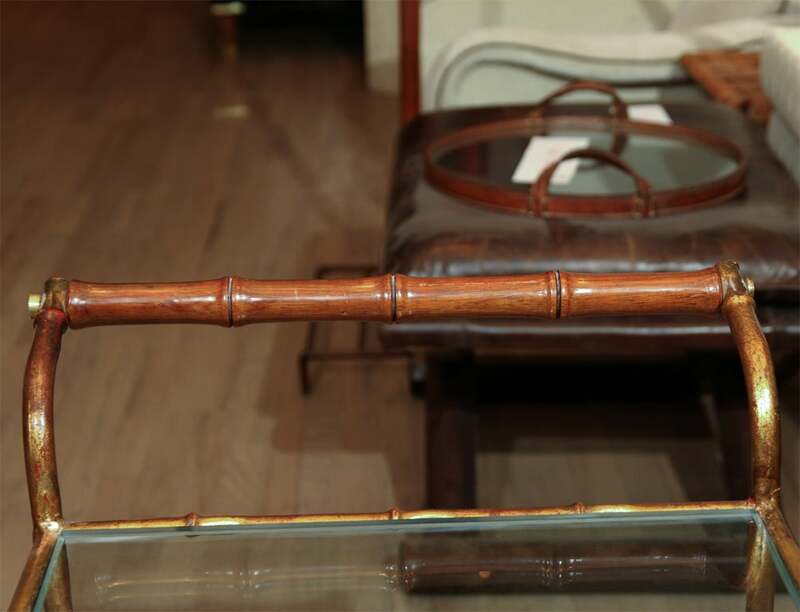 The handle is polished mahogany with star shaped finials. 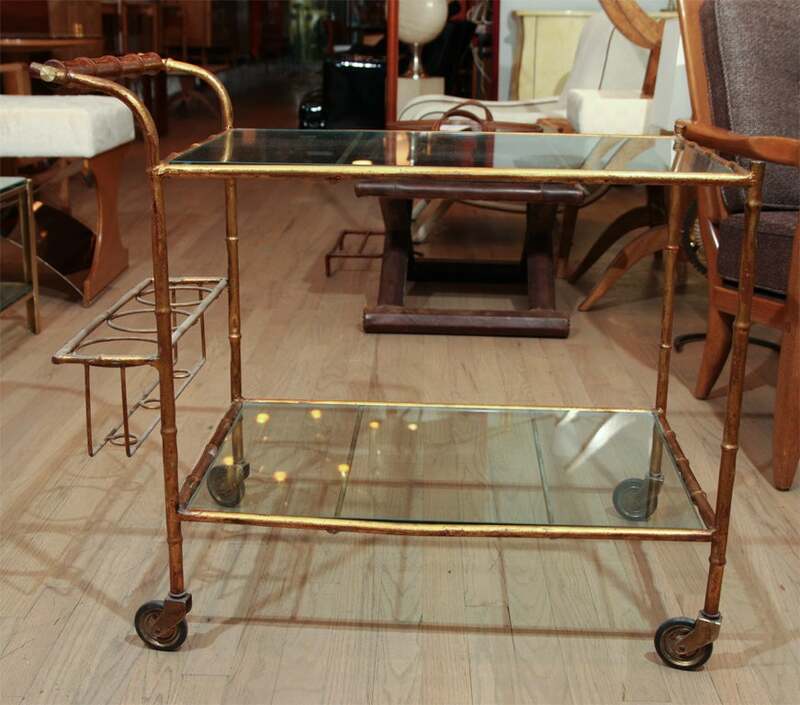 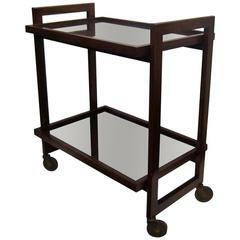 Mid-Century mahogany bar cart by Andre Sornay with studded brass details on the sides and glass inlaid tops. 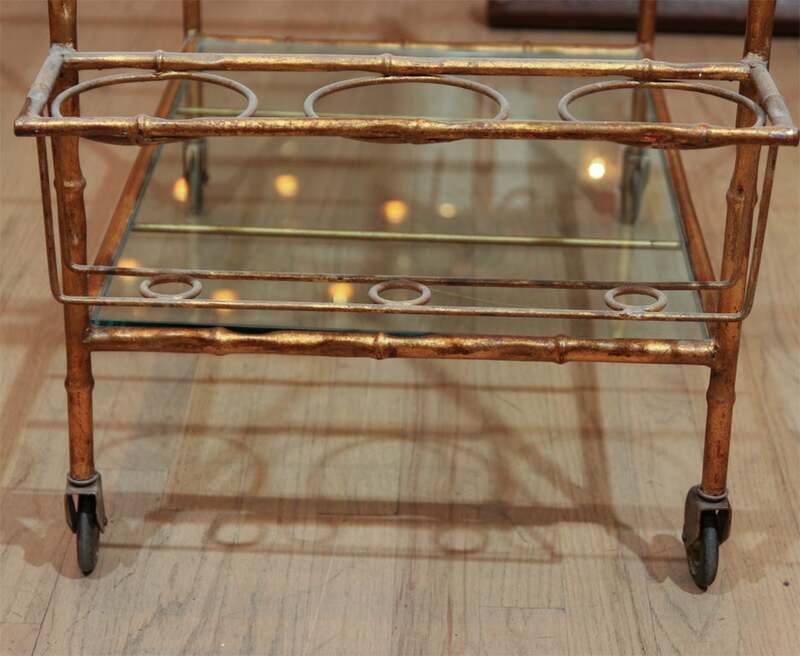 Three tiered iron bar, beautifully detailed in industrial art deco style. 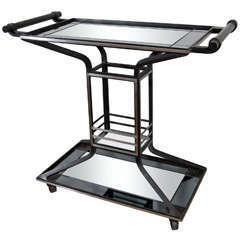 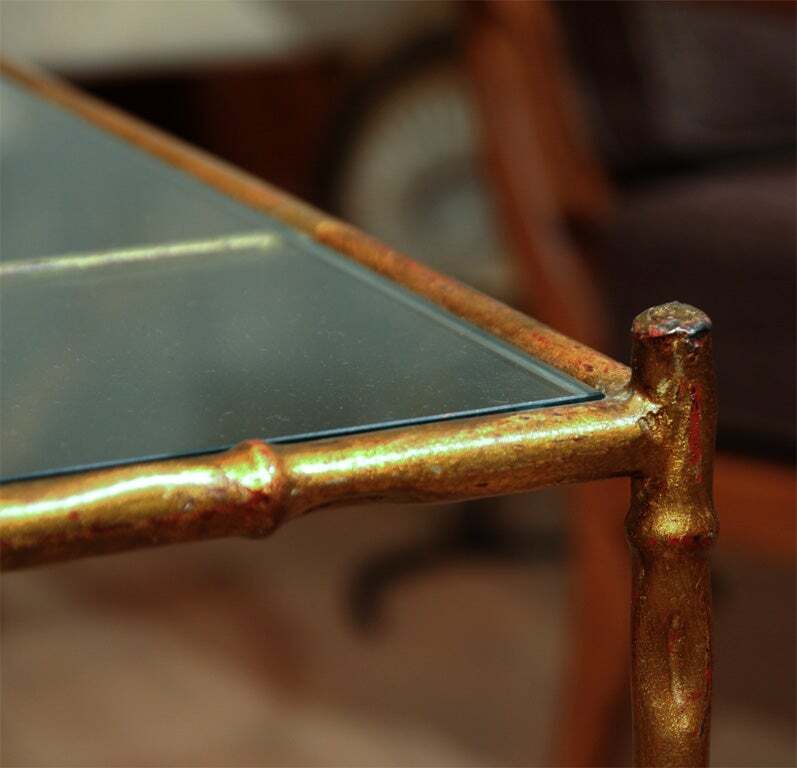 Fitted with new two tone mirror, the frame in its original finish. 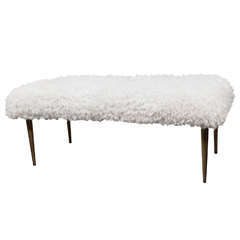 Faux Mongolian lamb fur covered Mid-Century bench. 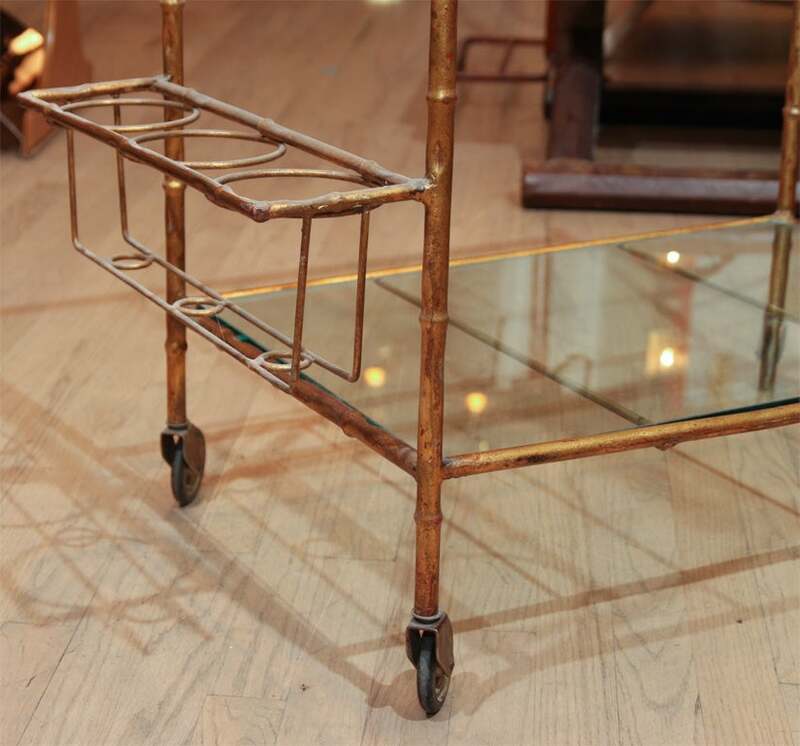 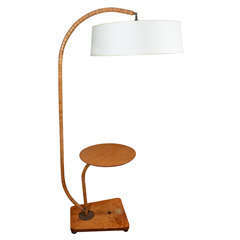 Wood frame with brass base. 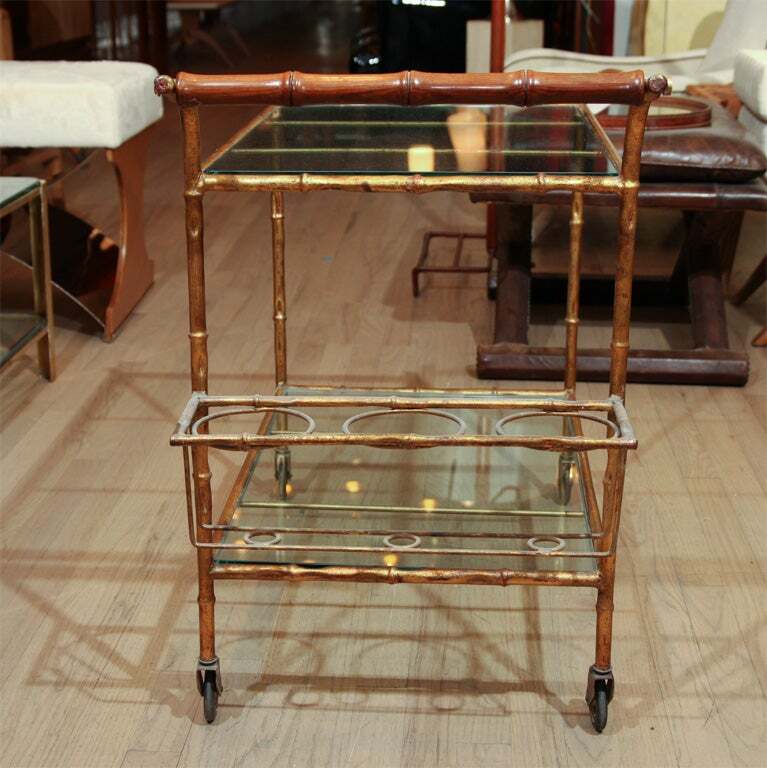 Fabulous three tiered gilt faux bamboo bar cart from France. 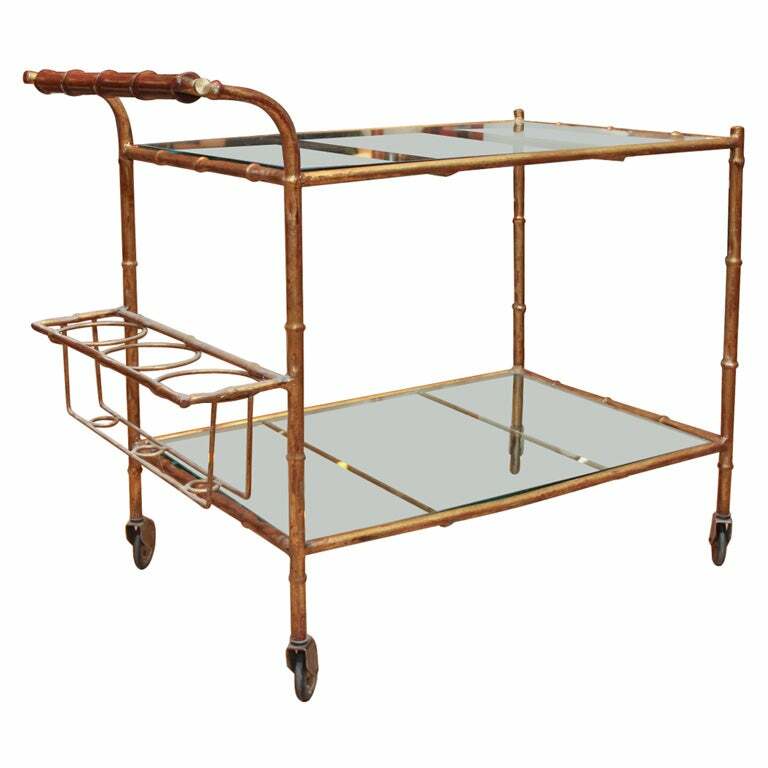 Glides effortlessly on its caster wheels. 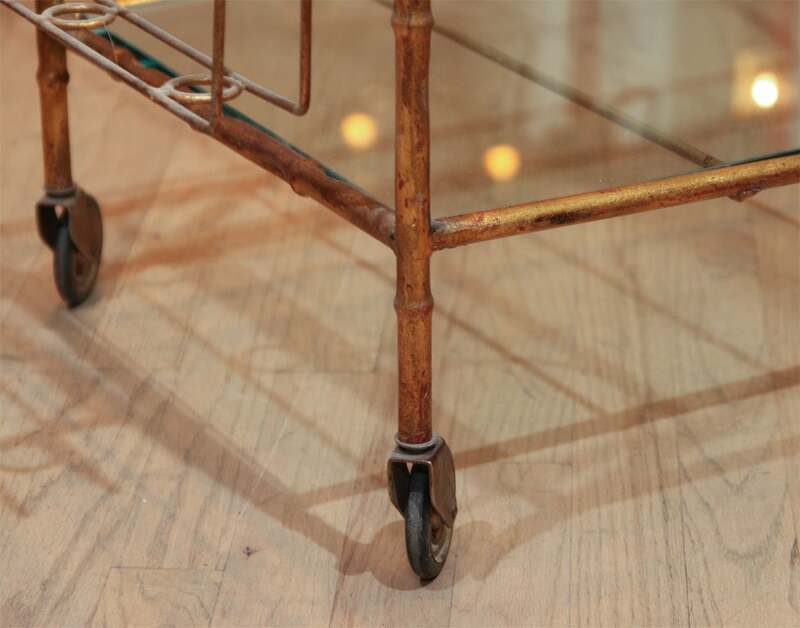 Shelves are 11 inches apart from each other.